Published January 22, 2014 at 1024 × 768 in Wanaka, New Zealand Gallery. While biking one evening in Jan 2014 some spectacular cloud colouring occurred for a few minutes. 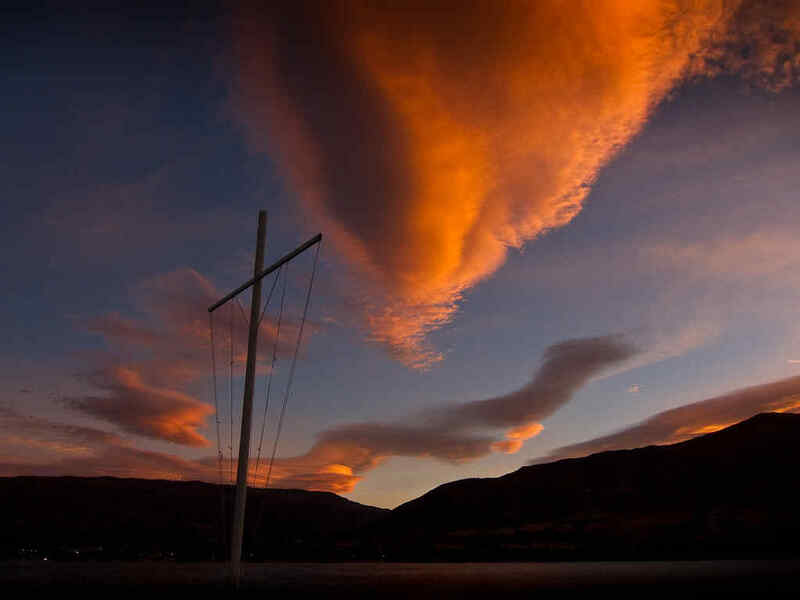 Desperate for a foreground subject I settled on this mast/cross that holds racing flags for the Wanaka Yacht club races.